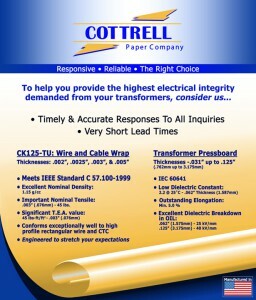 Cottrell Paper has manufactured electrical insulation and specialty papers since 1926. Cottrell Paper Company is proud of its long history of providing high quality products and services to the electrical insulation market. Cottrell Paper Company is ISO 9001 registered to meet the exacting needs of our valued customers. The company is continuously improving its operations to remain the leader in the "Rag" electrical insulation paper industry. Cottrell Paper is a family owned and operated business that is extremely responsive to the special needs of each and every customer. Cottrell Paper Company is proud to announce our new products that help you provide the highest electrical integrity from your transformers. For more information, Click on flyer. 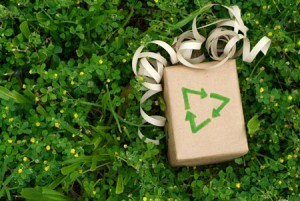 Cottrell Paper Company has been committed to our environment. We have been manufacturing products out of 100% post industrial waste since 1926. Click on the graphic to view our certifications.